What should you be doing this summer to give your child a head start once school starts? Getting the kids back into the school mode after the summer break is not an easy task. Long carefree days filled with play and late nights can be a hard habit to break to prepare for the onset of a new school year. Whether you child is heading to kindergarten or his senior year of high school, we have tips that are sure to move them to the top of their class. Most teachers will agree that from an academic standpoint, the summer break can be detrimental to a student’s retention of the previous year’s studies and most students will not meet their learning potential until weeks later. You can help reduce the amount of time your child will require to adjust to the new school year with some advanced planning and carefully executed strategies. A common problem associated with young children entering kindergarten is the incidence of separation anxiety. Children who have never participated in nursery school or a playgroup without their guardian can experience very profound separation anxiety during the first few weeks of school. If possible, prep your child for their first school experience by enrolling them in a playgroup or appropriate aged summer day camp and under the care of the qualified day camp staff. Most cases of separation anxiety will resolve itself within a few weeks but it is very real to both child and parent and can become worrisome if it goes on too long. You will be helping your child tremendously if your child is able to tie laces, work simple snaps and buttons, and follow simple instructions. In addition, your child will benefit if they can print their name, copy, trace, color, recite the alphabet and recognize and count up to ten. If your child needs some extra practice, counting pennies is an effective way to introduce basic math concepts to preschoolers. Introduce the task as a game and have your child count out stacks of varying amounts. As an added bonus, let them help you roll the pennies, and bring them to the bank so they can experience the entire ‘counting, rolling and bank’ concept. Card games such as Crazy Eights, SlapJack and Pig also reinforce various math concepts including matching and counting. Most primary students (grades 1-3) adjust well to the beginning of school but may have forgotten the most basic reading, writing and mathematical tasks. Students of this age usually will accept some assigned refresher worksheets doled out by Mom or Dad. There are many internet websites where you can find and print worksheets however, choose worksheets that will help your child to recall the basics of what they were studying the previous year. With those lessons reintroduced, your child will spend less time relearning the material and can easily move on to new subject matter. In addition to work sheets, you can help your child refresh their skills through various means of play and learning. Board games such as Snakes and Ladders, Candyland and Junior Scrabble are great tools to practice reading, vocabulary, and math skills. Primary students will always benefit from additional reading so make a special trip to the bookstore and let them pick out a special ‘back to school’ book. 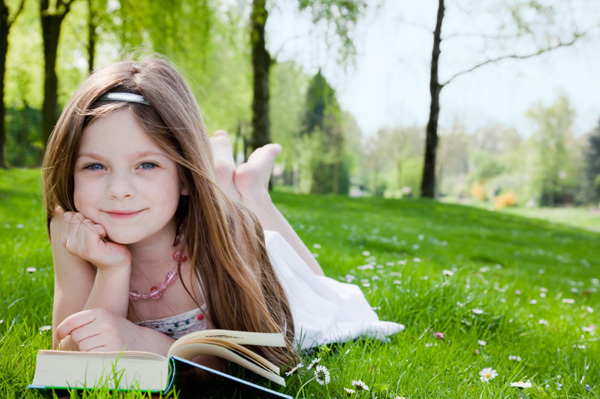 Encourage your child to select a book that is at or slightly above their current reading level – the purpose of this exercise is to reinforce their skills as opposed to enhancing their reading level. If you have a reluctant reader, magazines or comics may be a viable alternative. This may not seem like your ideal reading material but the main objective is to get your child to practice their reading skills in preparation for the new school year. It may be a little more difficult to get intermediate students to review last year’s work, but you can reinforce the basics through board games such as Chess, Backgammon and Gobblet that utilize mathematical concepts, complex strategic thinking, encourage creativity and improve memory skills through trivia. Card games and some computer games can also encourage similar thought processes. As a child progresses into their senior elementary years, reading, writing and math concepts can be more difficult to grasp and retain. If your child shows willingness, have them review their notes from last year. For students who have experienced difficulty in these areas in the previous years, a few sessions with a professional tutor can make a big difference. A professional tutor can review the previous year’s lessons and introduce new subject matter. Preparing your child in advance for the return to school will result in a smoother transition and help prepare your child academically for their first few weeks of learning. Tell us: How do you keep your child school-ready during the summer? Comment below!